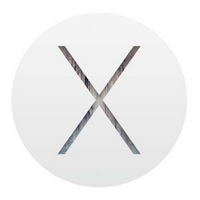 Apple has just seeded OS X 10.10.4 Yosemite to developers, featuring the usual dose of bug fixes, stability and compatibility improvements. With WWDC now just a couple of weeks away, it looks fairly certain that OS X 10.10.4 will be among the last versions of Yosemite, with work on OS X 10.11 now well under way. Over the past week, the tech headlines have reported heavily on Apple’s next big software update, which is iOS 9. Since the Cupertino-based company sells many more combined iPhone, iPad and iPod touch devices than it does Macs, attention seems squarely focused on what will be tweaked and altered as far as the mobile software is concerned. Having said that, OS X is still a major component of Apple’s overall product line-up, and with OS X 10.11 set to be announced at the Worldwide Developers Conference next month, Apple is still working on improvements to OS X 10.10. Version 10.10.3 hit the scene back in March, adding an all-new Photos app, extended emoji support and other neat little features, and given what we’ve heard so far of OS X 10.11, it seems like Apple’s next named software update for Mac will be fairly rudimentary. Still, before we even get there, OS X 10.10.4 will need to roll out, having today hit its fourth beta. It’s not clear exactly what changes have been made with beta build 14E26a, but as always, there are plenty of performance improvements and stability fixes. If you want to try OS X 10.10.4 beta 4, and are a registered developer, you can pick up this latest update from the Dev Center. If you’re not a dev but would still like to get involved, AppleSeed members are also invited to try the OS X 10.10.4 beta. If you’re interested on joining the AppleSeed program, please click here for more information. As we mentioned earlier, specific details on what can be found within OS X 10.10.4 are fairly vague for now. Apple notes that it “improves the stability, compatibility, and security of your Mac,” but we’ll learn in good time whether there’s more to the story than that. If you already have a past OS X 10.10.4 beta installed on your Mac, then you can also go ahead and update by opening the Mac App Store app and hitting the Software Update button. As for WWDC, well that will commence from June 8th, at which point we’ll have a much better idea as to what Apple is planning to bring to the table next. In the meantime, those interested can grab OS X 10.10.4 beta 4 using the aforementioned methods, and if you do try it out the fourth beta, please share your experience with us in the comments section below.